Western Sororities is the Western University chapter of the National Panhellenic Conference (NPC), which has worked since 1902 to improve and promote the sorority experience. We are a student run body, and together we make important decisions about sorority issues and events on our campus. We represent the five organizations that have chapters on our campus: Alpha Gamma Delta, Alpha Omicron Pi, Alpha Phi, Kappa Alpha Theta, and Pi Beta Phi. We provide community-wide programming including philanthropic initiatives. Most importantly, we host Formal Recruitment in the fall allowing individuals who are interested in the Greek community to find their home away from home. Get to know each of us by reading a bit about what our positions consist of below! The CRO is responsible for coordinating and executing all elements of Formal Recruitment. She is the go-to for all things recruitment. She works closely with chapter representatives, the Panhellenic Council, Recruitment Counsellors, and Potential New Members to help grow our community. The CRO is responsible for A LOT, but it is all worth it once she sees over 100 new members find their home on Bid Day! The CFO is responsible for overseeing the Panhellenic Council's budget and financial health. She is the go-to for all things finance - making budgets, keeping budgets on track, managing invoices, and more, the CFO is always aware of the financial health of our organization. She works closely the Advisors and chapter financial representatives to ensure that our organizations remain accountable to one another financially and support the growth of our community. The Chief of Operations Officer serves as chairperson of the Judiciary Committee which includes all officers of the Panhellenic Council and the Panhellenic Advisor. She is the go-to for our community's policies and procedures. She works closely with the Panhellenic Council, Panhellenic Advisors, and chapter representatives to ensure that the sorority community at Western is responsible and respectful. The COO helps all of us remember to live our organization's values and represent sorority in the best way possible. The Chief Communications Officer oversees the UWO Panhellenic Council's communications and social media strategy with the assistance of the Director of Social Media and the Director of Multi Media, including regular updates and promotional material. Additionally, she organizes and keeps track of current statistics within the Panhellenic Community regarding things such as number of initiated and new members. The Chief Communications Officer is are go-to for communication and correspondence matters! The Director of Philanthropy is responsible for developing the UWO Sororities community philanthropic initiatives. She is the go-to for philanthropy events happening within our community, the larger Western community, and in London, too! She works closely with the council and with chapter members that are passionate about philanthropy, as well as with the fraternity community and local London community partners. ​The Director of Recruitment Counsellors is responsible for assisting the CRO with the planning of Formal Recruitment, and for overseeing the training and supervision of the Recruitment Counsellors. The Director of RC's is the go-to for our team of Recruitment Counsellors - she trains them, she makes their schedules, she knows where everyone is during recruitment, and more! She works closely with the CRO and the RC's to ensure that our potential new members have a fantastic recruitment experience. The Director of Programming deals with and coordinates new programming events that involve both new and active members in all sororities within Western's Panhellenic Community. This year she is looking forward to planning our first ever programming event after Recruitment 2018 to get new and active members involved in the Greek scene right away! ​The Director of Social Media is responsible for updating and maintaining the Panhellenic Council’s social media accounts (Facebook, Instagram and the UWO sorority website). She is the go-to for creating fun and approachable content that represents our community. The Director of Social Media works closely with the CCO and with the sorority community at Western to keep our online communities engaged. The Director of Multimedia is responsible for updating and maintaining the Panhellenic Council's Youtube account and anything that comes to videography. 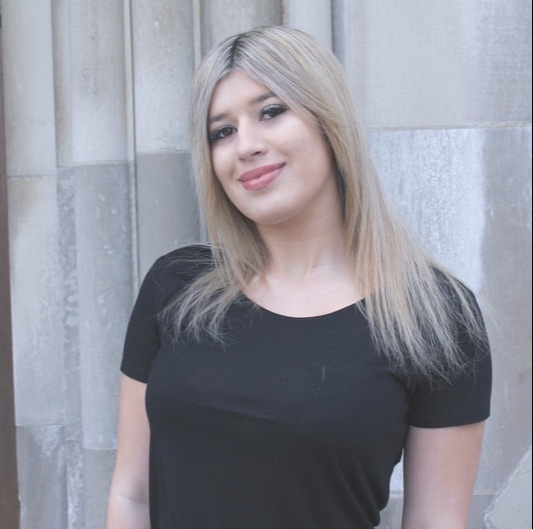 Like the Director of Social Media, she also works closely with the CCO and the sorority community at Western to keep our online communities engaged through our blog posts, videography, photography, and updating the UWO sorority website as well.